Infections caused by the following micro-organisms: Mycoplasma pneumoniae (primary atypical pneumonia); Rickettsiae (Queensland tick typhus, epidemic typhus fever, Q fever, murine endemic typhus fever, Australo-Pacific endemic scrub typhus); Chlamydia psittaci (psittacosis); Chlamydia trachomatis (lymphogranuloma venereum, trachoma, inclusion conjunctivitis). (Doxycycline is indicated in the treatment of trachoma, although the infectious agent is not always eliminated, as judged by immunofluorescence. Inclusion conjunctivitis may be treated with oral doxycycline, or in combination with topical agents). Borreliae (relapsing fever); Calymmatobacterium (Donovania) granulomatis (granuloma inguinale). Infections caused by the following Gram-negative micro-organisms: Vibrio sp. (chlorea); Brucella sp. (brucellosis; in conjuction with streptomycin); Yersinia pestis (plague); Francisella tularensis (tularaemia); Bartonella bacilliformis (bactonellosis); Bacterodies sp. When penicillin is contraindicated, doxycycline is an alternative drug in the treatment of infections due to: Treponema pallidum (syphilis); Treponema pertenue (yaws); Neisseria gonorrhoea (see Dosage and Administration). NOTE: Doxycycline is not the drug of choice in teh treatment of any type of staphylococcal infection or infections caused by Streptococcus pneumoniae, Haemophilus influenzae, Streptococcus pyogenes, Streptococcus faecalis or any type of enteric bacteria because many strains of these organisms have been shown to be resistant to doxycycline. Doxycycline should not be used in these infections unless the organism has been shown to be sensitive. For upper respiratory infections due to group A B-haemolytic Streptococci (including prophylaxis of rheumatic fever), penicillin is the usual drug of choice. In acute intestinal amoebiasis doxyhexal may be a useful adjunct to amoebicides. In severe acne doxycycline may be a useful adjunctive therapy. Doxycycline is indicated, in adults and children older than 10 years, as chemoprophylaxis for malaria caused by Plasmodium falciparum and, in combination with other antimalarial agents, against malaria caused by Plasmodium vivax. Doxycycline is only able to suppress malaria caused by Plasmodium vivax. As there are relatively few locations where P. vivax does not coexist to some extent with P. falciparum, it is recommended that doxycycline should be used routinely with other agents, for example chloroquine. 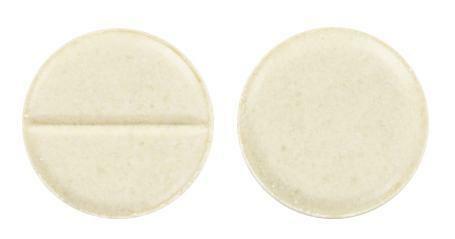 Dull yellow, round, biplane tablets with single sided score notch. Avoid milk, calcium containing dairy products, iron, antacids, or aluminum salts 2 hours before or 6 hours after using antacids while on this medication. Take with a full glass of water Do not take calcium, aluminum, magnesium or Iron supplements within 2 hours of taking this medication. Infections caused by the following micro-organisms: Mycoplasma pneumoniae (primary atypical pneumonia); Rickettsiae (Queensland tick typhus, epidemic typhus fever, Q fever, murine endemic typhus fever, Australo-Pacific endemic scrub typhus); Chlamydia psittaci (psittacosis); Chlamydia trachomatis (lymphogranuloma venereum, trachoma, inclusion conjunctivitis). (Doxycycline is indicated in the treatment of trachoma, although the infectious agent is not always elminated, as judged by immunofluorescence. Inclusion conjunctivitis may be treated with oral doxycycline, or in combination with topical agents.) Borreliae (relapsing fever); Calymmatobacterium (Donovania) granulomatis (granuloma inguinale). Infections caused by the following Gram-negative micro-organisms: Vibrio sp. (cholera); Brucella sp. (brucellosis; in conjunction with streptomycin); Yersinia pestis (plague); Francisella tularensis (tularaemia); Bartonella bacilliformis (bartonellosis); Bacteriodes sp. When penicillin is contraindicated, doxycycline is an alternative drug in the treatment of infections due to: Treponema pallidum (syphilis); Treponema pertenue (yaws); Neisseria gonorrhoea. Note. Genrx Doxycycline is not the drug of choice in the treatment of any type of staphylococcal infection or infections caused by Streptococcus pneumoniae, Haemophilus influenzae, Streptococcus pyogenes, Streptococcus faecalis or any type of enteric bacteria because many strains of these organisms have been shown to be resistant to doxycycline. APO-DOXYCYCLINE should not be used in these infections unless the organism has been shown to be sensitive. For upper respiratory infections due to group A beta-haemolytic Streptococi (including prophylaxis of rheumatic fever), penicillin is the usual drug of choice. In acute intestinal amoebiasis Genrx Doxycycline may be a useful adjunct to amoebicides. In severe acne doxycycline may be a useful adjunctive therapy. Doxycycline is indicated, in adults and children older than 10 years, as chemoprophylaxis for malaria caused by Plasmodium falciparum and, in combination with other antimalarial agents, against malaria caused by Plasmodium vivax. Doxycycline is only able to suppress malaria caused by Plasmodium vivax. As there are relatively few locations where P. vivax does not coexist to some extent with P. falciparum, it is recommended that doxycycline should be used routinely with other agents, for example chloroquine. 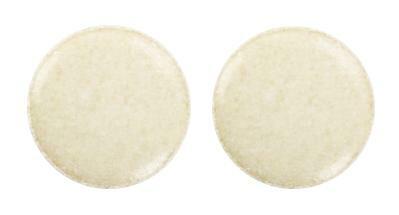 Dull yellow, round, biconvex tablets.